Those of us who live in the tri-state area tend to get accused of thinking the country is made up of the northeast, the west coast, and maybe Florida, and then forgetting about the entire rest of the country. A new map that is part funny, part culturally realistic takes a look at the “11 distinct cultures that have historically divided the U.S.,” according to Business Insider. 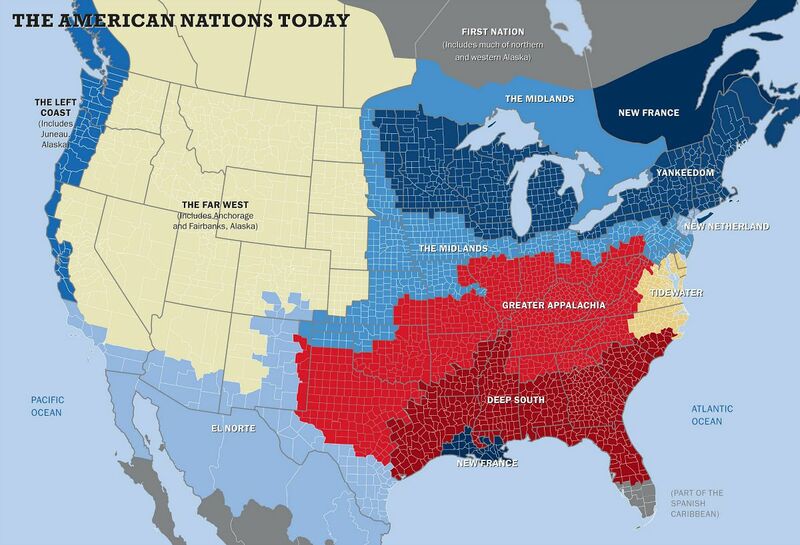 The spot-on map comes from award-winning author and journalist Colin Woodward‘s newest book American Nations: A History of the Eleven Rival Regional Cultures in North America. See the descriptions for the rest of country’s “nations” over on Business Insider.